The Wandoo Street location in Fortitude Valley is the company’s flagship store of three in Queensland with each counterpart offering a slightly different atmosphere whileÂ all upholding Campos‘ commitment to producing a superior coffee experience. 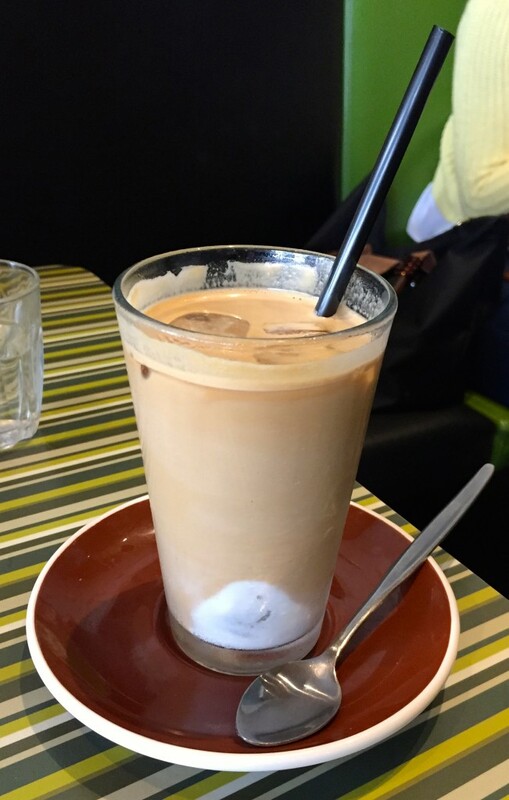 As one of the most sought after spots in James Street, Campos Coffee is serving up all-day breakfast and lunch seven days a week until 2:30pm. Campos‘ coffee is sourced from a variety of locations including Columbia, Guatemala and Indonesia to ensure a constant supply of high-quality beans throughout the year. For all of theÂ true coffee-buffs out there you can keep up-to-date with the latest beans to hit Campos by subscribing to ‘Coffee of the Month’ on their website. In true Campos style the cafe keeps things fresh by changing the menu every month which is great news for variety-lovers but it does mean you’ll have to get down there quick to try some of this month’s creations. 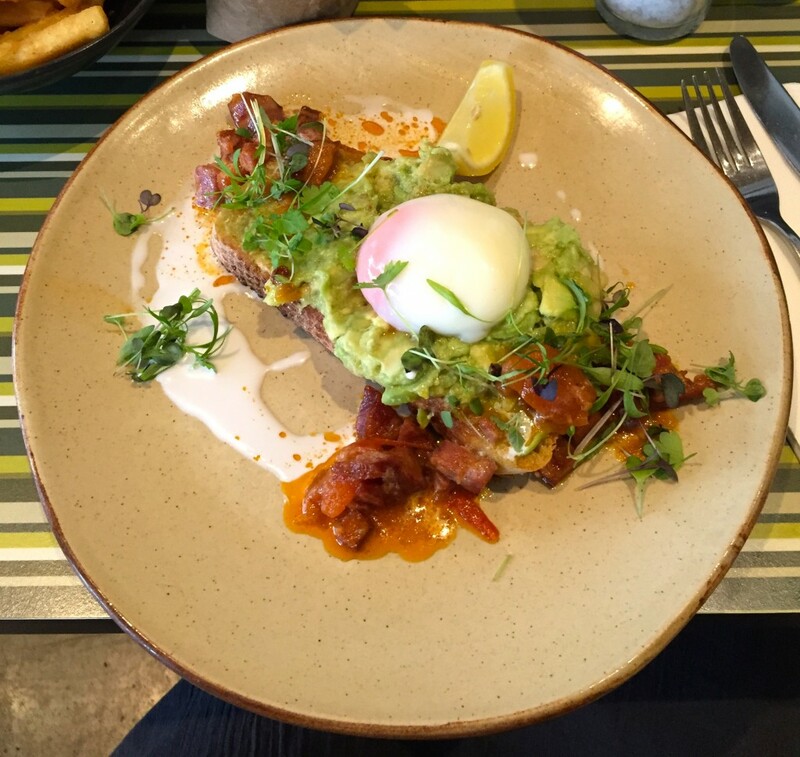 It is hard to go past a classic smashed avocado on a Saturday morning but Campos‘ version kicks it up a notch with a chorizo and coconut curry, a slow-cooked, poached egg and a lemon wedge, adding a unique, flavoursome twist to everyone’s breakfast favourite. 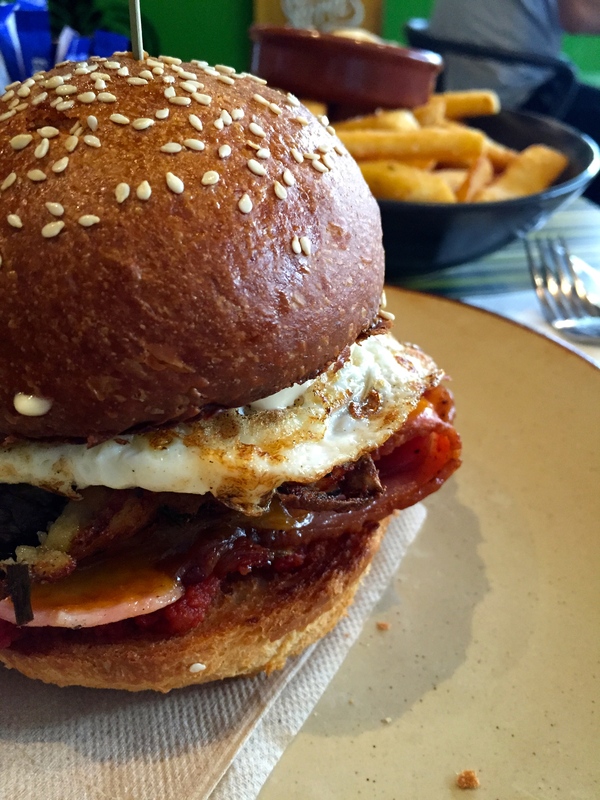 If you’re looking for something a little heartier for brunch next weekend perhaps try the breakfast burger with stacks of streaky bacon, hash brown, a fried egg, cheddar cheese, relish and a generous helping of creamy mayonnaise. Pair it with a serving of thick-cut, beer battered chips for the perfect post-Friday night food fix. The Wandoo Street location is also home toÂ Campos‘ public cupping room (coffee tasting) held every Saturday and Sunday from 2pm, as well as coffee training. 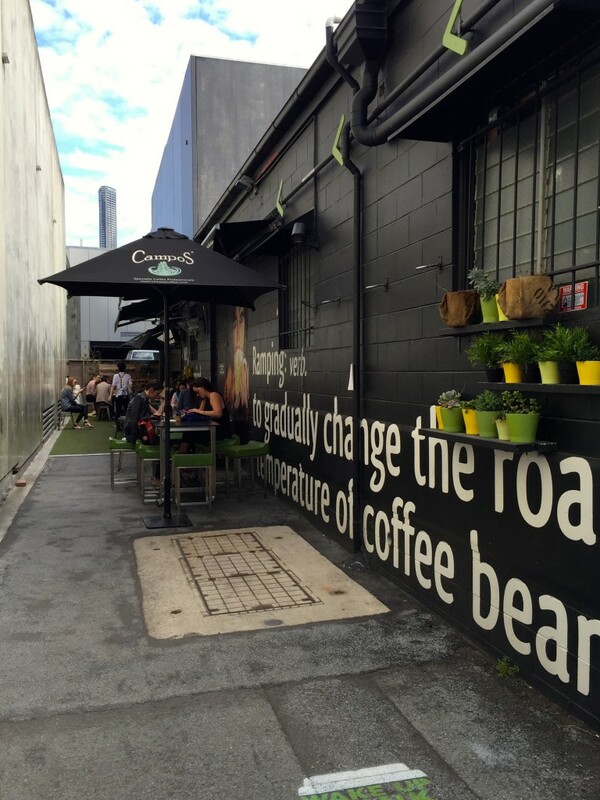 Nestled in an effortlessly trendy alleyway, be sure to make Campos Coffee your new go-to coffee corner for incredible coffee, delicious food and the perfect spot to soak up everything James Street has to offer.